Everything you eat and drink provides your body with fuel that it turns into energy to help you live, move and grow. 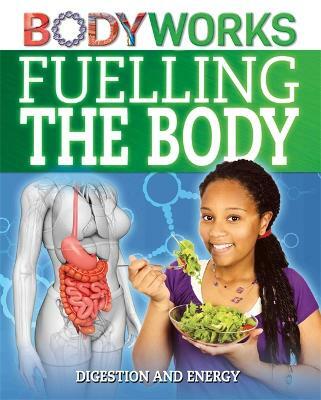 Your incredible body has loads of ingenious systems that help you break down food to get at the nutrients inside and even more amazing ways to transport those nutrients around your body to the organs that need them the most and to get rid of the waste! Find out how your blood, a balanced diet, exercise and the bacteria and acid inside you all work together to keep you on the move. From the hairs on your head to the tips of your toes and everything in between. The body is broken down into different areas according to the jobs they do. One book looks at your vital organs, such as the heart or liver, while another looks at the amazing job your brain does and how it relates to your nervous system and helps you make sense of the world around you. Take a fascinating trip through the science behind your own body. Never mind outer space, it's all about your inner space!